There are many places within Broker Brain to add notes. The process for adding notes from anywhere within the system is virtually the same. 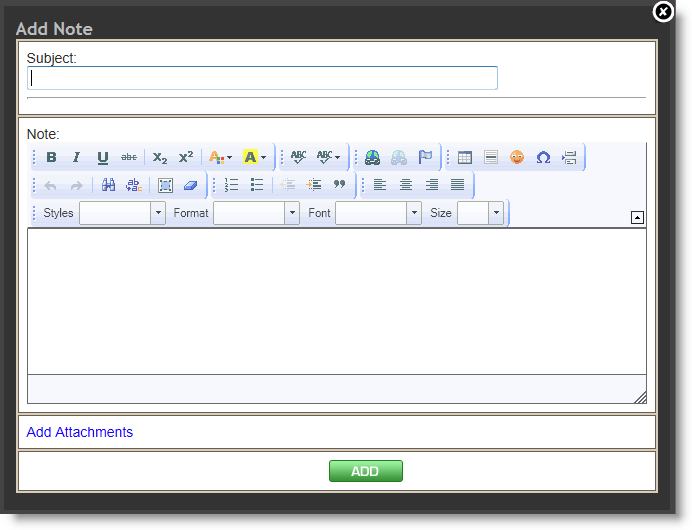 If you wish to add an attachment to a form, this is also done by adding a Note. Offer forms have one distinct feature that differs from many other forms, in that two of the Offer forms allow you to append attachments to them; in other words, you can attach a document and add it to the bottom of the form. The appendable forms are: the Purchase Addendum Letter and the Purchase Addendum Legal Form. 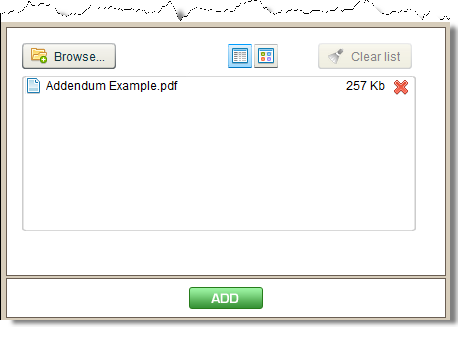 Only .pdf files can be appended. Following are instructions for adding notes and attaching both appendable and non-appendable documents to an Offer form. 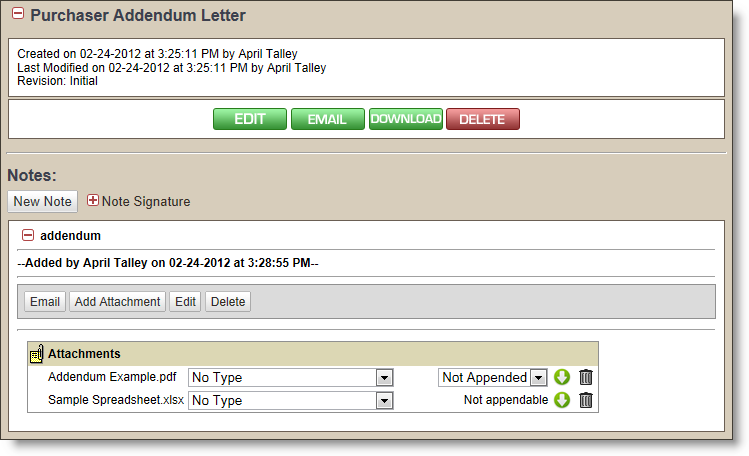 For instructions on appending documents after they have been attached, see Appending Attachments. 1. Click the Offers tab at left. Locate the offer you wish to work with, then click the + next to the Offeror's name to show the offer detail. 3. Locate the form for which you wish to add the note. Click the + adjacent to the form to view the form detail. 5. 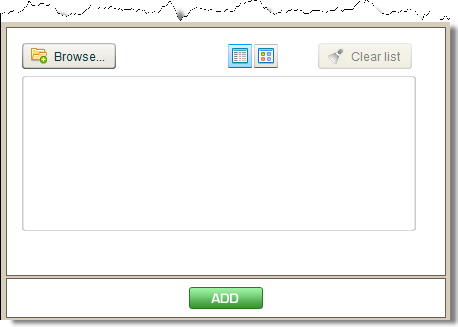 If desired, type a title for the note into the Subject field. 6. Add some text into the Note field. Note: If your sole reason for adding the note is to add an attachment, you will still need to type something in the Note field in order to add the note. "Addendum" may be appropriate in this circumstance. 8. Click the Browse button, then locate and attach the desired file(s). 9. When the screen returns to the Browse window, your selected file(s) will display as shown below.